Are you really effective at using your Linkedin account to deliver you great new sales prospects? If not, perhaps you are like most business people and not fully utilizing this exceptional resource. 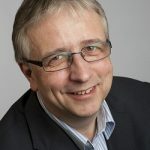 I first got to know my guest Rupert Honeywood when he connected with me via Linkedin in a very engaging way. I was fascinated by his intelligent approach and agreed to a conversation. An expert in Linkedin, I will be discussing his “7 Transformational Steps to Sales Success” using the system. This will include “How To Build Predictable Sales Growth For Your Business” and “How to find 100 cold leads in your chosen target market and turn these into 8 to 13 Hot Prospects”. If you want to find out how you can put together Linkedin marketing campaigns yourself or how Rupert’s successful company Business Growth Bureau accelerate this process for their clients then it is important you join us. Rupert Honywood is the CEO and Founder of Business Growth Bureau and loves working with directors and senior management to help them grow their businesses at an accelerated rate. Rupert is an expert in LinkedIn and has produced a programme based on creating the “7 Transformational Steps to Sales Success” As part of this he explains “How To Build Predictable Sales Growth For Your Business” and “How to find 100 cold leads in your chosen target market and turn these into 8 to 13 Hot Prospects”.